The ‘Resident Evil 6’ X ‘Left 4 Dead 2’ Crossover is Coming… Twice! Mention the word zombies in a room of gamers and two franchises instantly come to mind. Resident Evil and Left 4 Dead. While other zombie franchises have tried to claw their way to the top, these two from Capcom and Valve respectively sit atop the zombie food chain. With Capcom’s recent affinity for crossing over franchises with other publishers, it is great to see that they have come together with Valve to enable the Resident Evil 6 x Left 4 Dead 2 project. 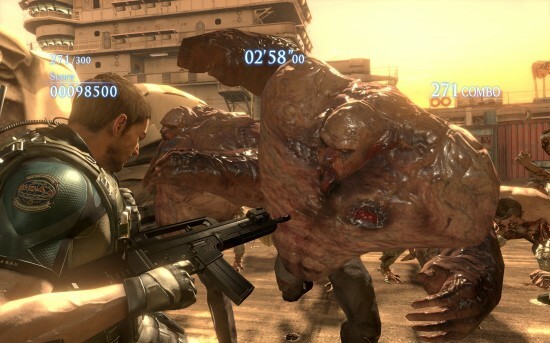 In a completely free download, Resident Evil 6 PC players will be able to experience a new mode, “The Mercenaries No Mercy” featuring Left 4 Dead 2’s signature cast – Coach, Nick, Ellis and Rochelle – as playable characters. Each will have a custom weapon load-out for the mode. Also making their debut to the Resident Evil world alongside the foursome of survivors are going to be the Witch and the Minitank. This mode will be going live on April 5th. Who do you turn to when there is no hope left? Chris Redfield, Leon Kennedy and Jake Muller obviously. Or at least that’s what the latest trailer from Capcom out of last week’s Tokyo Game Show for Resident Evil 6 leads us to believe. If you don’t believe us, take a look at the full trailer after the jump. But what makes this trailer special? Well for long time Resident Evil fans, the TGS Resident Evil 6 trailer has hordes of story hints, some largely important and others subtle. It also contains a brief cut scene of all three main characters crossing paths as well. For those new to the Resident Evil series, there are glimpses are some of the newest machinations of the twisted staff at Capcom in action during the course of Resident Evil 6. The virus that transforms people into inside out scorpion monsters or the ball that explodes into a spray of needs that make people’s skin melt off are two personal favorites. After the critical and commercial success of Resident Evil 5, it is no surprise that a sixth proper Resident Evil title is coming out. Selling over 5 million copies and garnering a Metacritic score in the mid 80s, it is only common sense that Capcom would continue the story of their top tier franchise. After several viral teasers, no pun intended, on NoHopeLeft.com, Capcom finally revealed to the world Resident Evil 6. This Resident Evil will feature series headliners Leon Kennedy and Chris Redfield along a new unknown male character, this one who seemingly has an unknown immunity to the T-virus. This new character appears as a mercenary for hire and is seen in the trailer below constantly being given injections, whether these are used to revive him or help him fight a T-virus infection are still unknown. This new character also has a female sidekick much like Sheva from Resident Evil 5. Take a peek below at the new trailer and the first image reveal for the game. Stick to The Flickcast for more on Resident Evil 6 coming out for the XBox 360, PlayStation 3 and PC on November 20th, 2012.